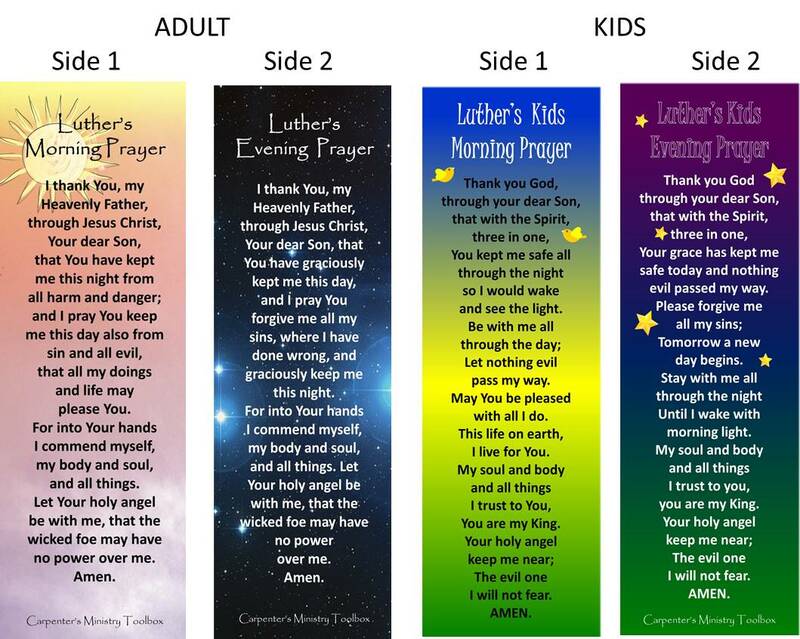 The Carpenter's Ministry Toolbox: EDUCATION: Luther's Prayers Bookmarks! You can see the designs below. You can get them at the Carpenter's Ministry Toolbox store. PLEASE, PLEASE let me know if you have any trouble with the site. I'm just figuring this out as I go.